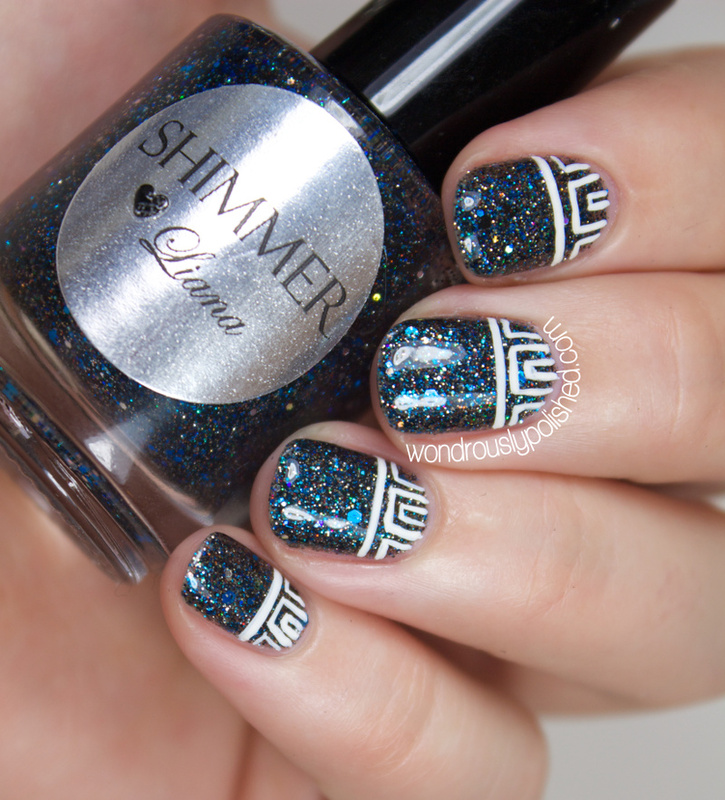 My problems were solved when I decided to use Shimmer Polish's Liana as my Sapphire base. I've never used this polish before and I was so in love with it when I put it on. 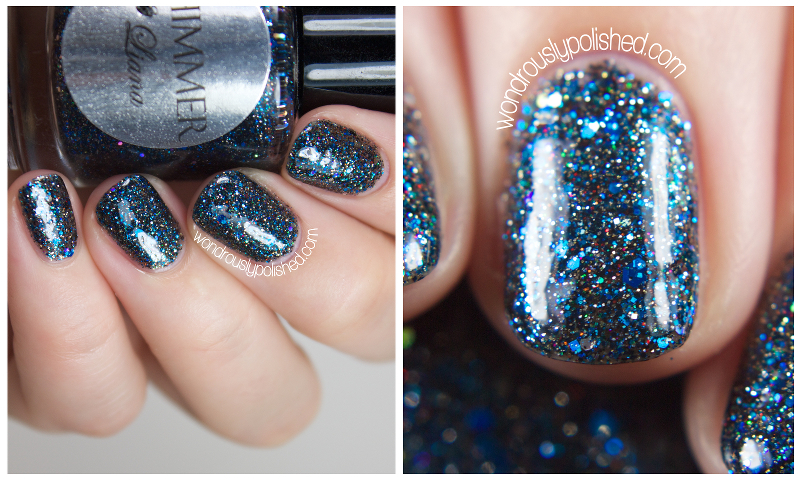 It's a stunning blue, teal and silver glitter polish in a semi black base and it reached opacity in 3 coats. 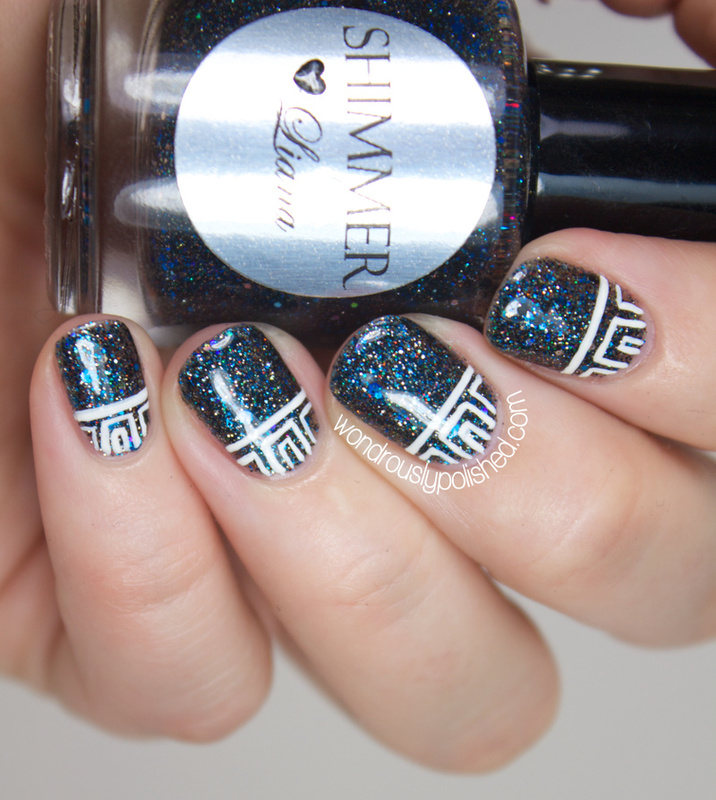 Since the DD is all about nail art, I added a simple geometric style ruffian look over the polish. It's sort of gem stone inspired so I think it works. I like the simplicity of these a lot. 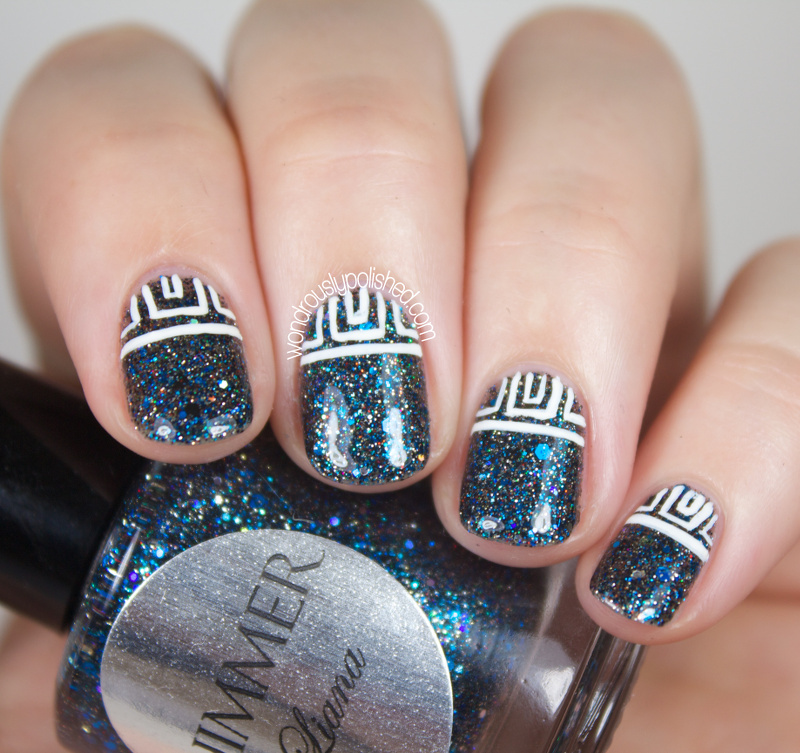 Be sure to check out the other DD ladies' manis via the inlinkz below!